Who's excited for this new series? 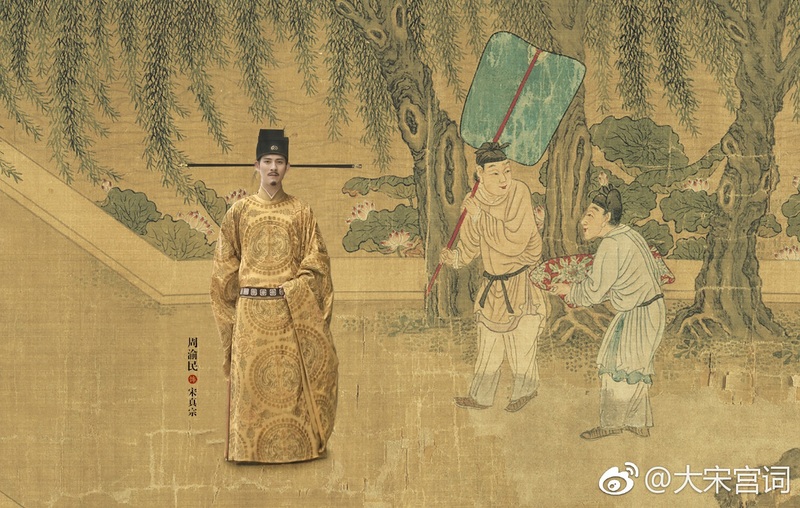 Poetry of the Song Dynasty 大宋宫词 finally gives us a glimpse of its cast more than a hundred days after the drama started filming. 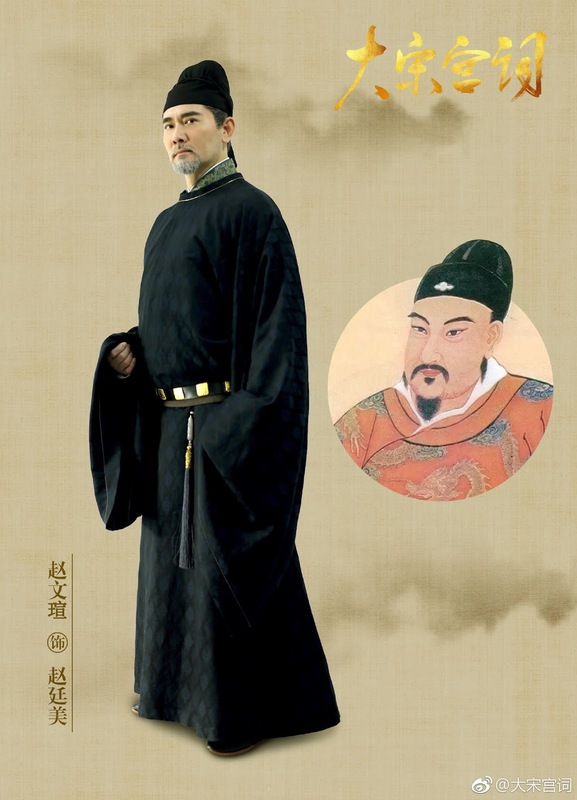 The production released its first character posters which are based on actual paintings. 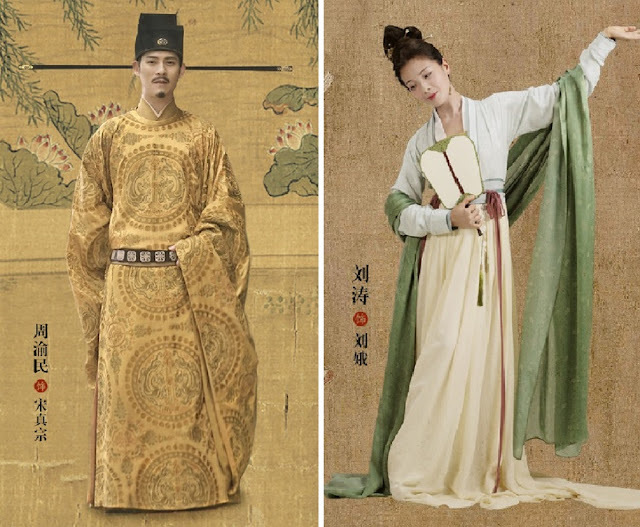 Although low-key, the series attracted a number of fans with seasoned actress Liu Tao (Nirvana in Fire), as female protagonist, Liu E.
Meanwhile, this is the third time we get to see Vic Chou in a costume drama after The Flame's Daughter and Beauty in the Closet. 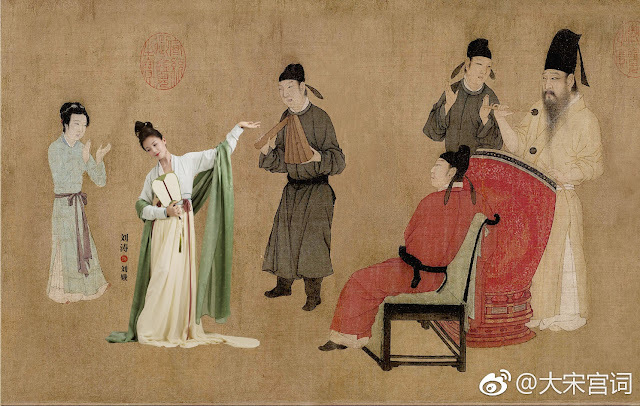 According to history, Liu E was originally an entertainer sold by her husband to the palace of the then prince Zhao Heng due to poverty. The 15-year-old prince fell in love with the 14-year-old beauty. However, she was driven out of the palace by the current emperor after learning that his son was enamored by her. When Zhao Heng was crowned as emperor, he installed Lady Liu to be his consort and later his Empress amidst strong opposition of his ministers. 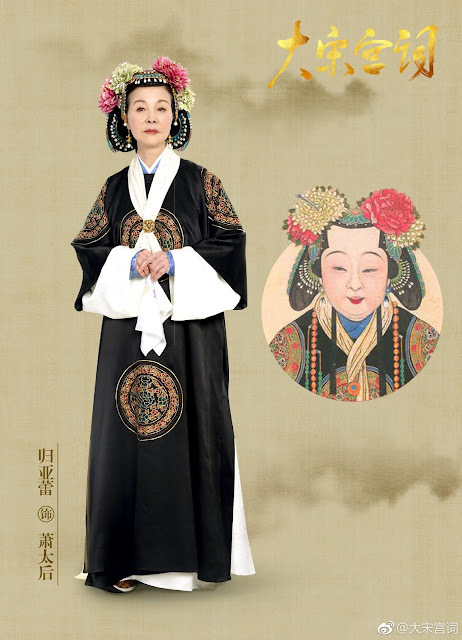 Empress Lui also became the unofficial reagent after Emperor Zhenzong fell ill and an official reagent and Empress Dowager two years later when her adopted son succeeded as emperor. Aside from the leads, the production also released posters of other casts, Gua Ah Leh (Twenties Once Again) and Winston Chao (Lost in 1949). This marks the reunion of the two with Director Li Shaohong, 20 years after the historical drama, Palace of Desire. The character posters based on real paintings were unique in their own right. If there is something noticeably wrong, well it is Empress Dowager Xiao's painting. After the photos were released, netizens pointed out that the costume for Xiao Tai Hou played by Gua Ah Leh was taken from Qing Dynasty instead of Song Dynasty. Wondering if they will do a continuation to this drama since the popular folklore "The Wild Cat for Crown Prince" was always interesting in every drama as a kid (not trusting modern directors though, it's got to be directed in the correct way). Liu Tao looks beautiful! I can't wait for this. I wish it wasn't Vic. He doesn't suit ancient Era. I hope he can prove me wrong this time.